Fr. Tony Clark, born in New England, grew up in northeast Florida and graduated from Stetson University in central Florida with a BA in History in 1983. His six years between college and seminary included retail sales management, Army Special Operations training, and meeting and marrying his wife Laurie. 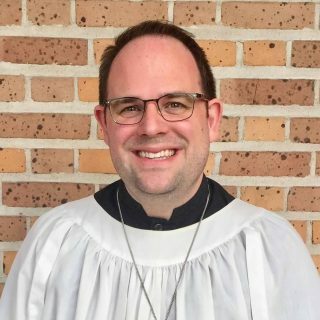 After a 1992 graduation from Virginia Theological Seminary in northern Virginia, he served as a priest in the Episcopal Diocese of Central Florida for over twenty years before becoming Rector of St. Mark’s Episcopal Church, Beaumont, TX in the spring of 2016. He continued his military service by serving as an Army National Guard Chaplain, retiring as the Senior Army Chaplain for Florida in late 2018. He currently pursues a Doctor of Ministry with a focus on Applied Ethics in the Workplace through Trinity School for Ministry in Ambridge, PA. His professional memberships include Rotary International, the Association of the United States Army and Military Officers Association of America. 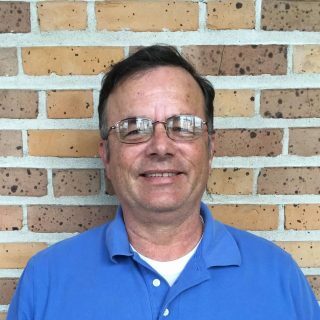 He and his wife, Laurie, have two adult children and two grandsons: Rebecca, mother to grandsons Charles and Levi, is married to SGT William Odham and they are stationed at Ft. Carson, CO and Patrick, a recent graduate of the University of Florida, works for JP Morgan Chase in Tampa, FL. Laurie serves on the faculty of All Saints Episcopal School which was founded and sponsored by St. Mark’s. Fr. 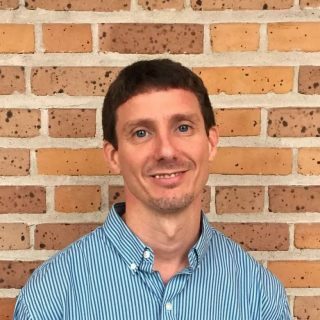 Dean Calcote was born and grew up in Shreveport, LA. He attended Tulane University in New Orleans and then The General Theological Seminary in New York City, graduating in 1958. He returned to New Orleans to serve as a Curate at St Paul’s Church. Following his marriage to Maree Minturn in 1961, they returned to General for two years, then to Vicksburg, MS, serving as Assistant Head of All Saints Episcopal School, a boarding school for girls. They remained there six years, then moved to Baton Rouge, LA, to serve as Assistant Head for five years. 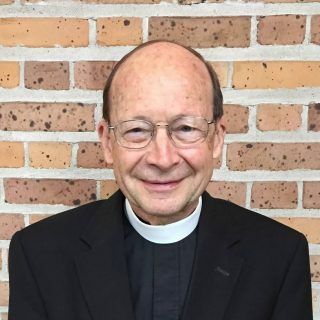 He was appointed as Head of All Saints Episcopal School and Associate Rector of St. Mark’s Church, Beaumont, TX in 1974. He retired from the School in 1998, but remains on the staff of St. Marks. Past Times: Traveling, especially in Europe with Maree, before she died, and now with his children and grandchildren who live in Austin. Organist and Choirmaster Jordan Williams was born in Nederland and recently returned to Southeast Texas after 18 years away. He’s a graduate of Port Neches-Groves High School and Trinity University in San Antonio, where he double majored in communications and music. Jordan studied organ as a teen with Jerome Wells and feels incredibly blessed to be able to lead the music ministry here at St. Mark’s. His full-time work as a television journalist has led from San Antonio…to Midland…to Oklahoma City…to the Rio Grande Valley…to Western New York…and finally back to Beaumont. Most recently Jordan was organist and choirmaster of St. Matthias’ Episcopal in East Aurora, a suburb of Buffalo. He’s thrilled to have left the snow shovel and boots behind. In addition to his music leadership here at St. Mark’s, Jordan is the Assistant News Director for 12News (KBMT). Past time: Planning upcoming music and managing a newsroom keep Jordan sufficiently busy, but he loves escaping and enjoying family and food. 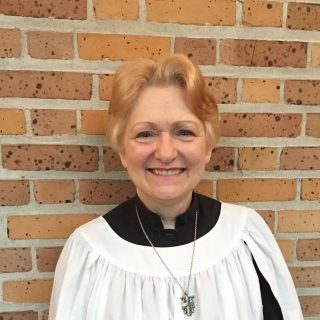 Marcia Perrine has been a member and assistant organist of St. Mark’s for over 20 years. She was raised in West Virginia, graduating from Marshall University. 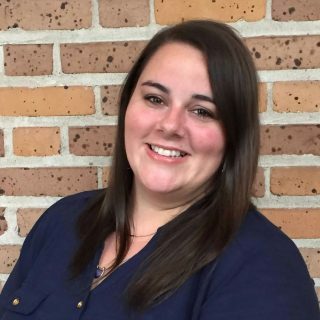 After teaching in Ohio and Florida she moved to Texas to attend Southern Methodist University for graduate school. She moved to Orange to be organist/choir director of the historic First Presbyterian Church. 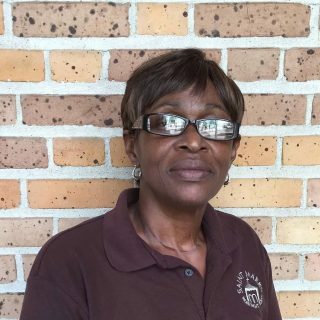 After 17 years there, and getting married and having a son, she went back into teaching with LCM school district and came to St. Mark’s where she was fortunate enough to work with Jerome Wells for 20 years. Marcia looks forward to the next era of excellent musical leadership under Jordan Williams. Lauren was born in Beaumont. She graduated from West Brook High School in 2001. 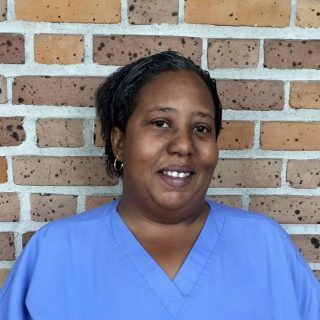 From there she received her Pharmacy Technician certification and worked at Market Basket Pharmacy. During this time she met and married her husband, Chris, and became a stay at home mom to their children. Lauren and her family joined St. Mark’s in 2009. After years of volunteering with various events and children’s activities, she accepted the position on Children’s Ministry Director in 2015. Sports: Not much of a sports fan, Lauren does enjoy watching softball on occasion. Paul was born in Orange, California. A military dependent he was raised/reared in El Toro Marine Corps Air Station (California), Yuma Marine Corps Air Station (Arizona), Jacksonville Naval Air Station (Florida), Cherry Point Marine Corps Air Station, Los Angeles, CA, Costa Mesa, CA, Santa Ana, CA, Garden Grove, CA, Lake Arrowhead, CA, Westminster, CA, Simi Valley, CA, Thousand Oaks, CA, Westlake Village, CA, Newbury Park, CA. He attended Newbury Park High School, Moorpark Community College, John Hancock Community College, and Lamar University. Graduated with an MBA from Lamar University May 2016. He worked and retired from the Federal Bureau of Prisons 1987-2008. He served and retired from the US Military in the US Army (3 years active duty) 18 ½ years Guard and Reserves: CA Army National Guard, VA Army National Guard, US Army Reserves. 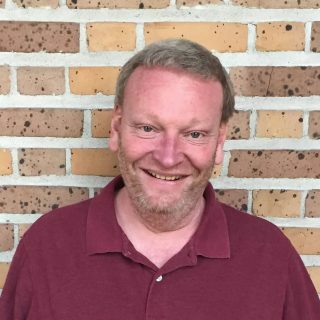 1979-2001 He’s been working at St. Mark’s Episcopal Church since October 2010 as Outreach Minister He, also, is an Instructor, College of Business, Lamar University since the Fall semester of 2016. Restaurant: Sun Luck (Chinese). Newbury Park, CA. No longer operating. As newlyweds, it was our Friday night luxury. Cheap, plentiful, and great memories. Book: A Wrinkle in Time, Dear and Glorious Physician, The Chronicles of Narnia, The Hobbit/The Lord of the Rings. Past time: Coaching track and training/working out with Krista. Jan was born in Beaumont and has lived here (except for one year in Baton Rouge) all her life. She attended Forest Park High School. Following graduation, banking was her “career” of choice. After 20 years in banking, she decided to try something new… church work. Since 1995, Jan has taken care of the finances for St. Mark’s. Past time: Crocheting, reading, and DIY home improvement projects. Spending time with her family which includes siblings, nieces, nephews, great nieces and nephews, dogs, horses, cats, and “Beans” the pig. 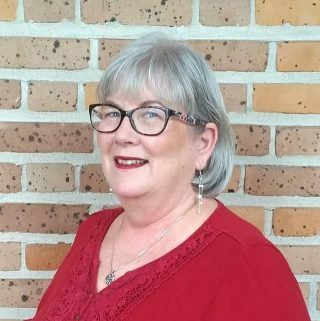 Melody was born and raised in Baytown, Texas. She graduated from Ross S. Sterling High School in 1986 and was a proud member of the Sterling Star Drill Team. 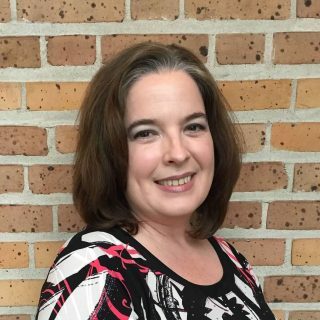 Melody is an alumna of Lee College in Baytown, Texas and East Texas Baptist University in Marshall, Texas. Melody competed in beauty pageants and modeled during her high school and early college years. She has been a bridal consultant, as well as a director of fashion shows. She has worked as a beauty consultant for Estee Lauder and Clinique cosmetics, as well as being a member of the elite Clinique team training future flight attendants skin care and makeup for Southwest Airlines. Melody also worked as a travel agent prior to coming to St. Mark’s, where she is the Parish Secretary. She is “Mom” to rescued dogs and cats and a proud Aunt of Tyson, Garrett, and Lorna. Books: Gone With the Wind, The Hobbit, Lord of the Rings, Lonesome Dove, mysteries, etc. Past time: Crochet, travel, crafts, reading, watching football, and spending time with family, friends, and especially her dogs and cats.